Ramping up meetings with key groups in the gun control debate, Vice President Joe Biden said Wednesday that the administration is "determined to take action" in the wake of the Newtown shooting spree that left 20 children dead. As the White House ramps up gun violence discussions, Vice President Joe Biden says his gun task force has reached out to the mental health community and religious groups to tackle issues beyond just gun safety. "If our actions result in saving only one life, they're worth taking," Biden said at a meeting of victims and gun control proponents at the White House. "But I'm convinced we can affect the well-being of millions of Americans and take thousands of people out of harm's way if we act responsibly." 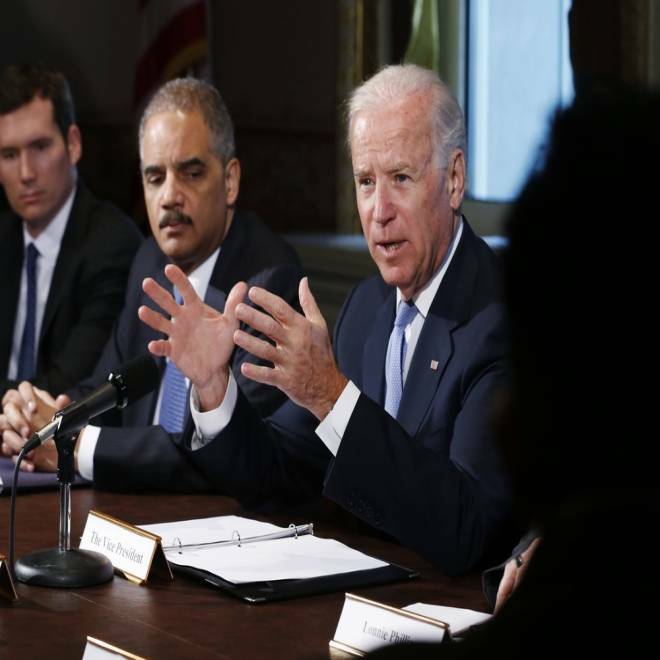 Biden indicated that President Barack Obama is considering executive action to address the gun issue, although he noted that it's not yet clear what options may be plausible outside of legislative movement. "The president is going to act," Biden said. "There are executive orders, executive action that can be taken." White House spokesman Jay Carney today declined to specify what types of executive action the administration may consider. "I'm not going to get into specifics because I won't get ahead of the president or the vice president, but also because the process is ongoing," Carney said, adding that legislative action is also "certainly part of this." "Decisions have not been made," Carney said. The meeting was the first in a series scheduled for this week with the task force led by the vice president. On Thursday, Biden will meet with sportsman's organizations, gun sellers -- including Wal-Mart -- and the National Rifle Association. Biden is also expected to meet with representatives of the entertainment and video game industries this week. The series of stakeholder meetings is intended to help administration officials shape new policies to prevent gun violence. But while some of those proposals -- like instituting universal background checks -- could garner some support from big sellers, other proposed ideas -- like reinstituting a ban on certain types of weapons -- are likely to encounter tough opposition from gun rights supporters. U.S. Vice President Joe Biden (R) speaks to representatives of gun safety and gun violence victims' groups in the Eisenhower Executive Office Building on the White House complex in Washington, January 9, 2013. On Wednesday, Biden said that even a piecemeal approach is preferable to inaction. "I want to make it clear that we are not going to get caught up in the notion of 'unless we can do everything, we're going to do nothing,'" Biden said. "It's critically important that we act." Megastore Wal-Mart announced Wednesday morning that it will send a representative to a Thursday session after facing criticism for reportedly declining the invitation yesterday. "Knowing our senior leaders could not be in Washington this week, we spoke in advance with the Vice President's office to share our perspective," a Wal-Mart spokesman said. "We underestimated the expectation to attend the meeting on Thursday in person, so we are sending an appropriate representative to participate."